The first of two singles released off the Tower in the Fountain of Sparks LP. Limited to 1,000 copies, the 7'' contains two exclusive b-sides listed below. The 7" was rereleased in a CD collection, Selective Services, later in 2001. 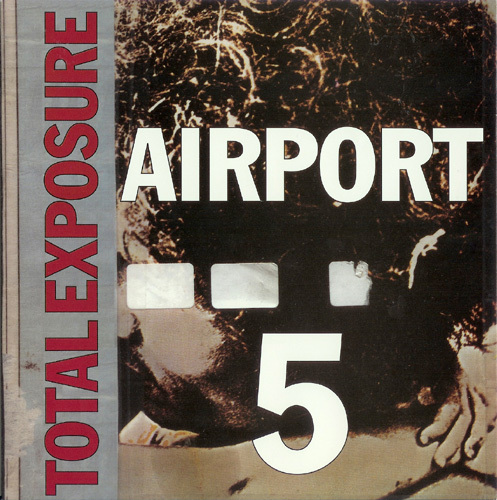 Total Exposure- Same version as one on the Tower in the Fountain of Sparks LP. Read review here. Cold War Water Sports- 3 What a great title. Song is a bit too long for it’s own good. Repetitive line repeated off a moderately priced Casio keyboard. “Cold War Water Spots,” vocal part is the shining moment of this otherwise yawner. The Wheel Hits the Path (Quite Soon)- 4 Catchy in a ‘80s college rock way. Great lead guitar line. Pollard slightly lackluster vocal wise on this satisfying short tune. i do not own this one. got curious and listening to CWWS right now on youtube. yeah. weird. not very good. not up to Airport 5 standards, I like the LP's. "i'm going on a search/for mystical merchandise"